Dine amidst Gloucester’s working harbor on Latitude 43‘s sunny deck! The restaurant’s menu combines fresh seafood, award-winning sushi and creative coastal cuisine, with comfort food favorites that are sure to please the whole family. Latitude 43 is bursting with creative architecture, jaw-dropping artwork. The waterfront spot also boasts an over-sized heated deck, as well as indoor fireside dining for those cooler nights. Enjoy an entire evening under one roof with live music at Minglewood Tavern every weekend. 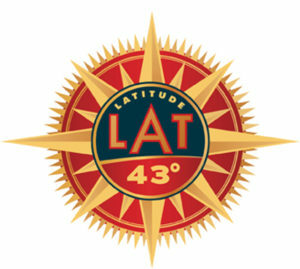 Latitude 43 is undergoing some renovations and will be reopening in Spring 2019 with a new look.